Get 360-degree views of classrooms, studios and other locations on our beautiful Burbank campus. On May 4th we will feature the work of our Fashion Design students and honor the achievements of Badgley Mischka. Watch these video stories to learn more about our students. With over 25 practice-based, fully-accredited professional and liberal arts undergraduate and graduate majors, Woodbury is a non-profit institution dedicated to the student experience. Since 1884 Woodbury has been a leader in higher education. Woodbury students leave the University with hands-on experience, real-world connections, and a top-tier education. More than 90 percent of our students get jobs in their chosen or applied field. Woodbury alumni have built thriving businesses, run magazines, established accounting and design firms, become notable fashion designers for film and television, won design competitions, built award-winning buildings, held public office, and led growing organizations. Located in the San Fernando Valley, the Woodbury University campus lies adjacent to the Verdugo foothills near the Angeles National Forest. The school straddles the dividing line between Los Angeles and Burbank, providing students with the best of both cities ranging from world-class film and entertainment studios to the LA Fashion District to the region’s thriving creative and startup community. Woodbury San Diego occupies a renovated warehouse in the Barrio Logan district. Sited between downtown and the naval shipyards, the campus is a center of cultural and architectural activity in a diverse neighborhood populated by families, artists, and community leaders. Faculty and students play an active role in shaping the future of the area through events, workshops, and outreach. 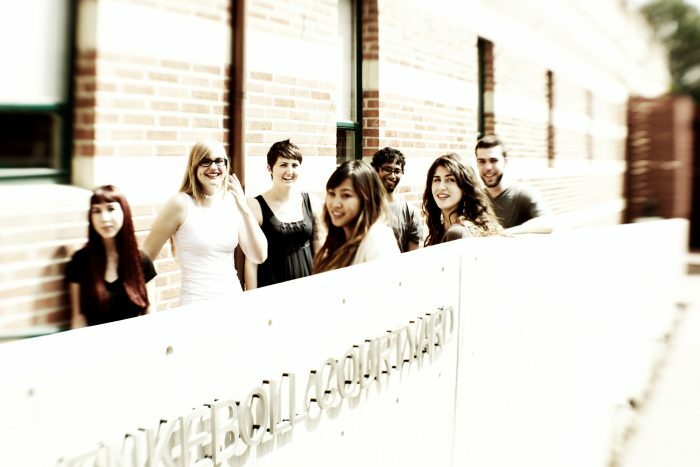 Located on the iconic Hollywood Boulevard Walk of Fame, the Woodbury University Hollywood gallery (WUHO) provides a welcoming space for multi-disciplinary, boundary-crossing collaboration and supports the study and practice of the design disciplines.